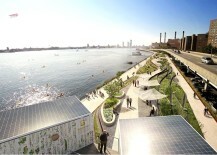 Bjarke Ingels. 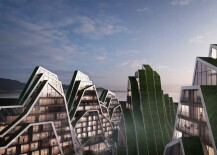 Portrait by Jonas Bie via Dezeen. 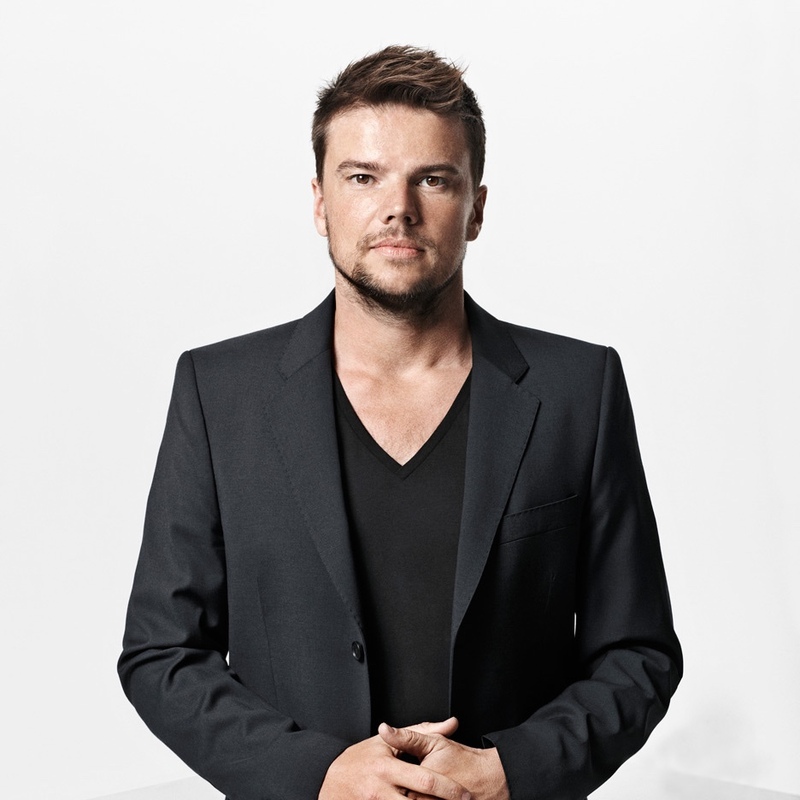 Bjarke Ingels founded BIG in 2005, aged 31, and has a reputation for “designing buildings that are as programmatically and technically innovative as they are cost and resource conscious.” (Source: BIG) Prior to setting up BIG, Ingels worked for Rem Koolhaas at OMA and later at PLOT Architects, a firm he established in 2001 with architect Julien De Smedt (PLOT closed its doors on 1st January 2006, with Ingels and De Smedt opening new companies independent of one another). 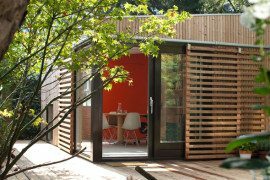 In just over a decade of existence, BIG has amassed an incredible body of work, with projects built or underway throughout Europe, North America (especially NYC), Asia and the Middle East. 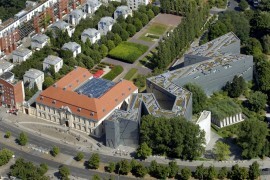 Its approximately 300 employees – architects, designers, builders and thinkers – hail from more than twenty five countries. 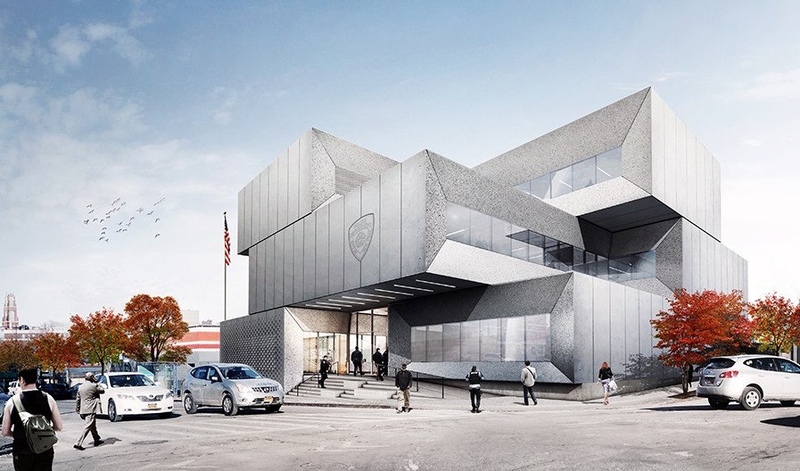 A rendering of Vancouver House by Bjarke Ingels and BIG. 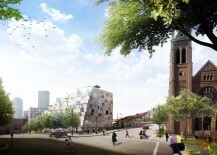 BIG in practice refrains from designing “boring boxes” and eschews the perfect ideals often presented by digital formalism (where computer-generated cityscapes present a fictional utopia). 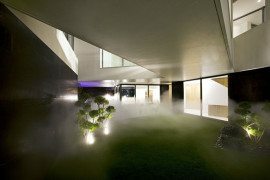 At BIG, architecture is framed in terms of a “programmatic alchemy”, a blend of everyday life and moments: how we live, work and play, move, park and shop. 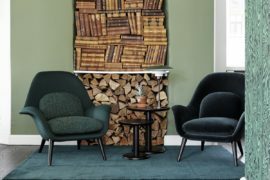 BIG recognises that life’s parameters are in a constant state of flux, affected by culture, economics, politics, technology and the environment. 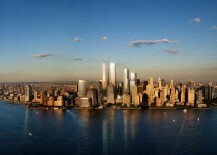 “With several epic projects under way, Bjarke Ingels is set to transform Manhattan’s skyline and shoreline.” Via Wired. 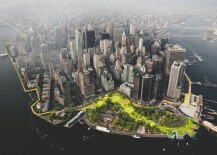 To address this, theirs is an architecture that overlaps both programmatic and utopian paradigms, creating a “social infrastructure for resilient cities” (BIG’s mission). 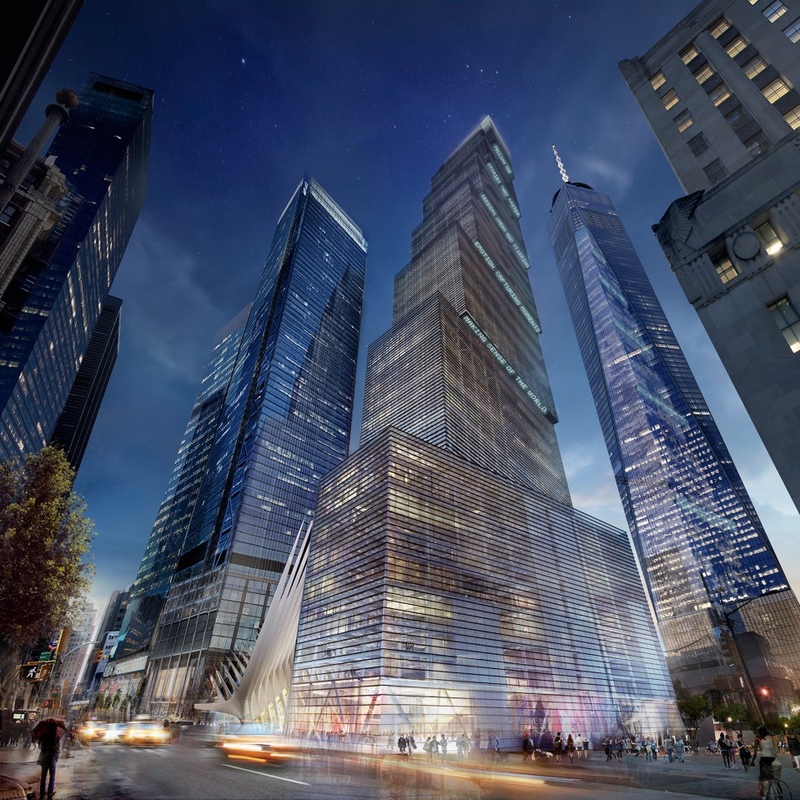 More than mere aesthetic or stylistic posturing, BIG’s architectural projects are underpinned by “Information Driven Design” and aspire to transform fiction into fact. BIG designed the “Hualien Residences” in Taiwan, a resort project whose profile echoes the country’s mountainous terrain. 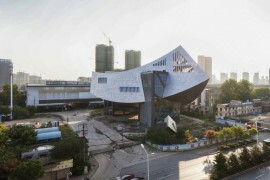 Photo by Jinho Lee via Dezeen. 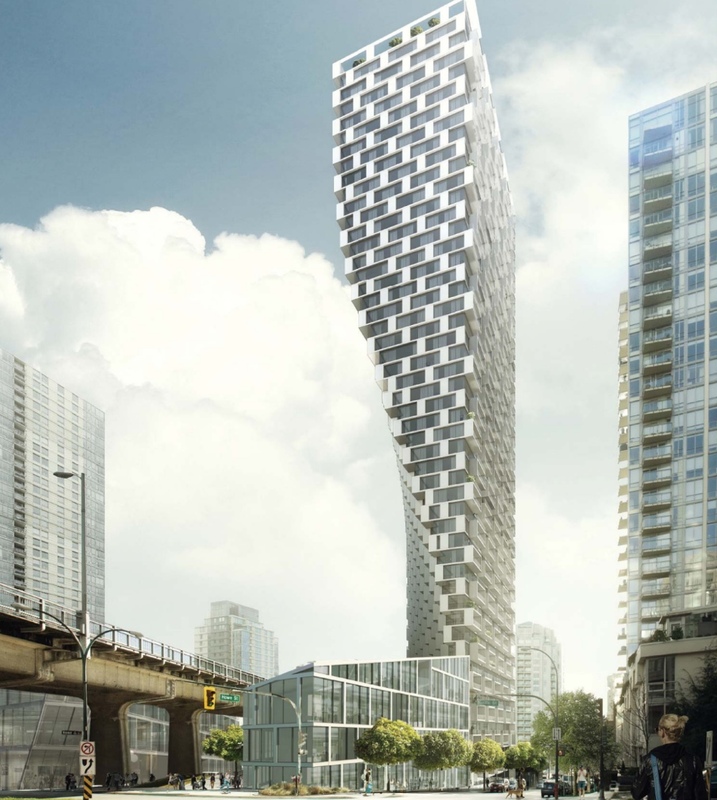 BIG’s “Vancouver House” is a soaring and twisting 52-storey skyscraper. 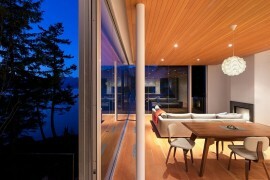 Scheduled for completion in 2018, Vancouver House was awarded “Future Project of the Year 2015” at the World Architecture Festival. 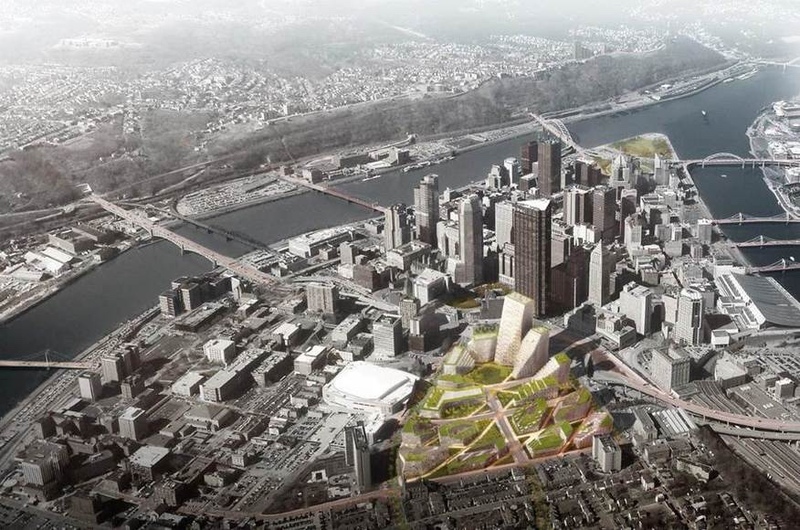 BIG is working on a revitalisation master plan in the industrial city of Pittsburgh alongside West 8 (an urban planning and landscape architecture firm) and Atelier Ten (environmental design consultants). The plan aims to reshape and re-energise the city’s Lower Hill District, building and investing in community cohesion. 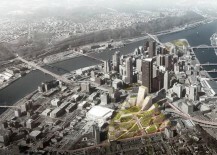 Overview rendering courtesy of BIG via Architect Magazine. 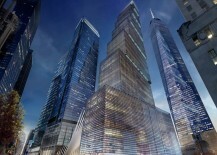 Street level rendering courtesy of BIG via Building Design & Construction. 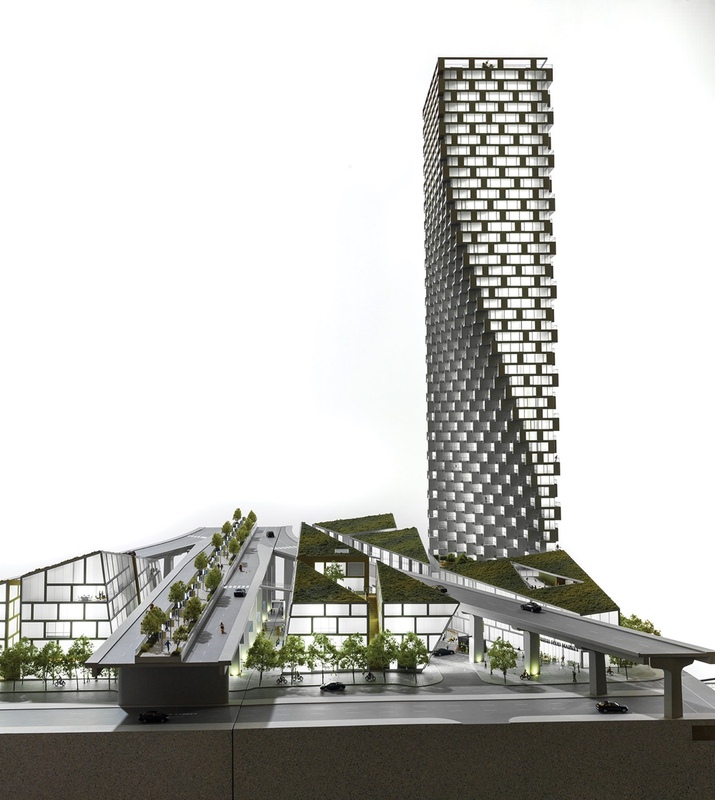 Designed by BIG, the undulating facade of the Shenzhen Energy HQ is a technical marvel, maximising daylight exposure while minimising sunlight exposure. 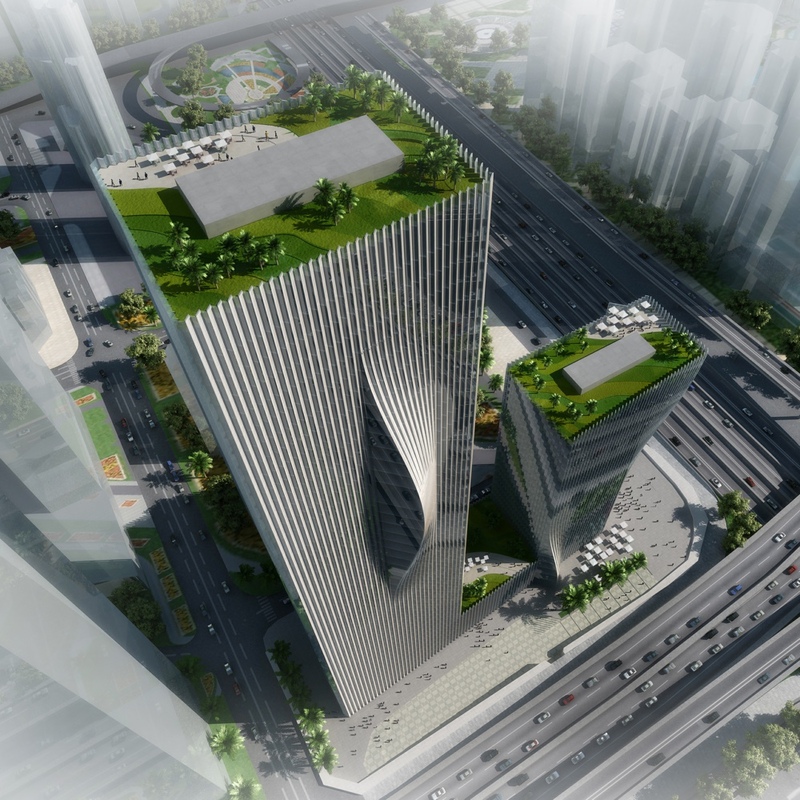 Shenzhen Energy HQ aerial rendering. Image via PRC Magazine. 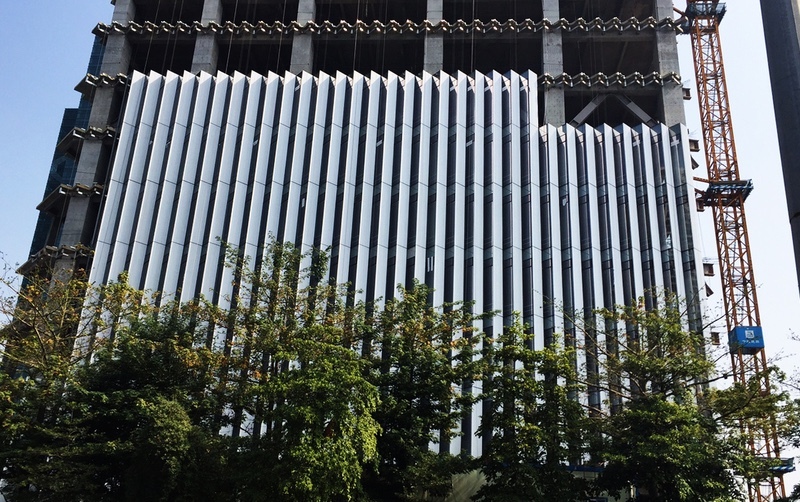 Shenzhen Energy HQ facade progress. Image © BIG. 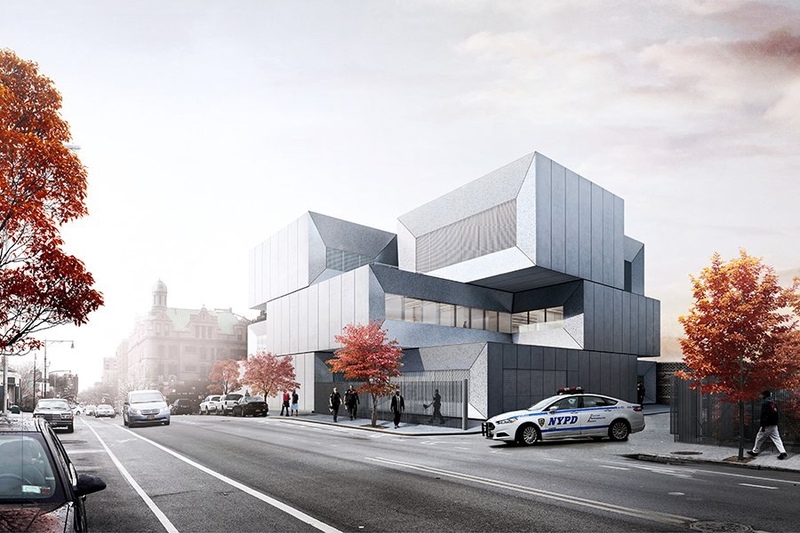 In what is perhaps a more modest project for the firm, BIG has designed a new $50 million station house for the NYPD’s 40th Precinct in the South Bronx. Images courtesy of BIG via 6sqft. 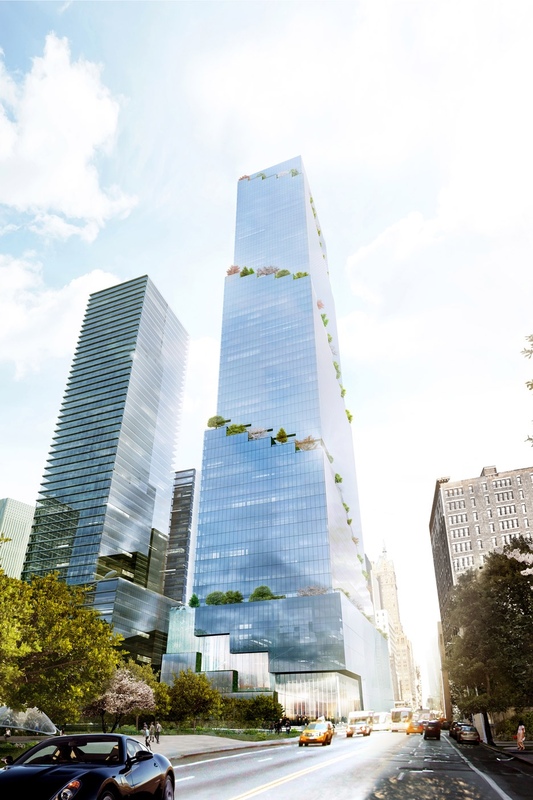 “The Spiral” in New York is an office high rise whose facade is “wrapped in a ribbon of green terraces.” (Source: Dezeen) The terraces form a continuous green pathway that spirals upwards around the building. 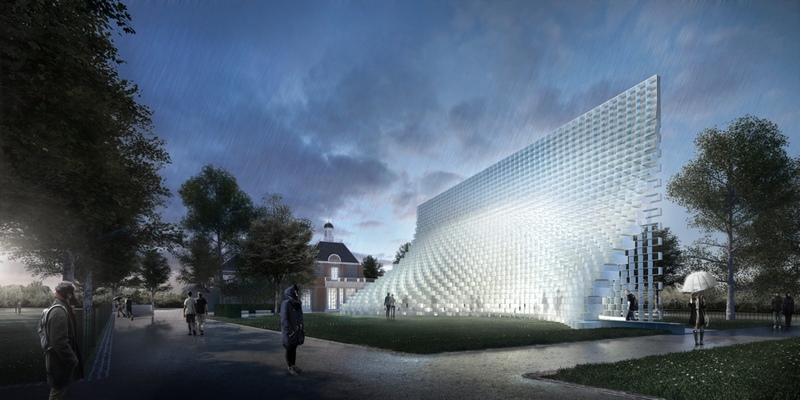 BIG was chosen to design the 2016 Serpentine Gallery Pavilion in London. 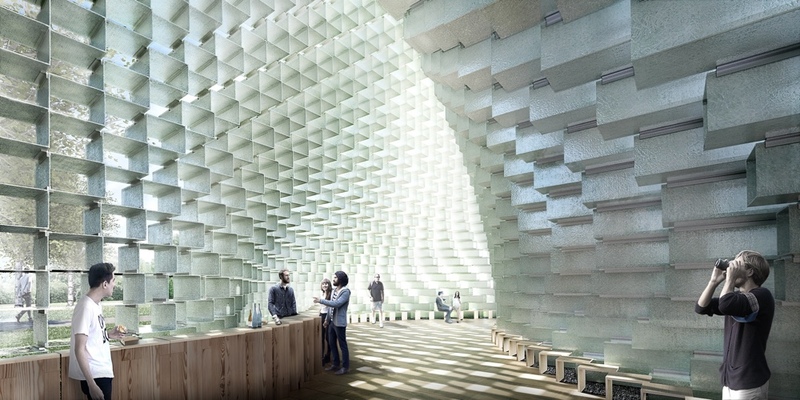 An “unzipped wall”, the striking edifice will house a cafe by day and host the Serpentine’s Park Nights programme by night. 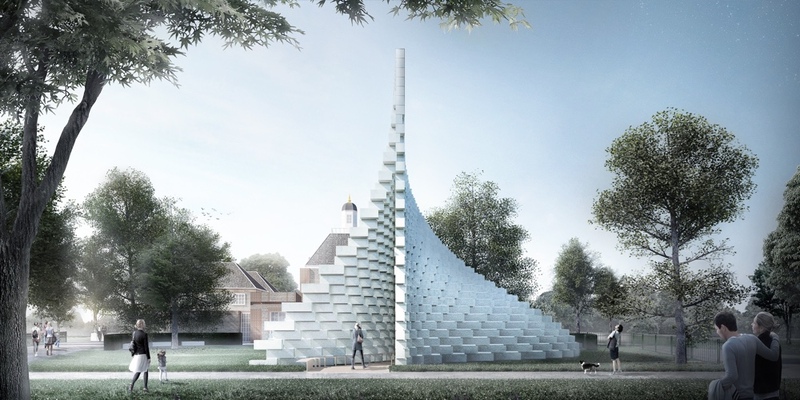 BIG’s Serpentine Pavilion will be constructed using stacked pultruded fibreglass frames. 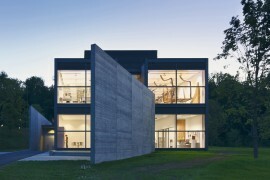 Images © BIG via ArchDaily. 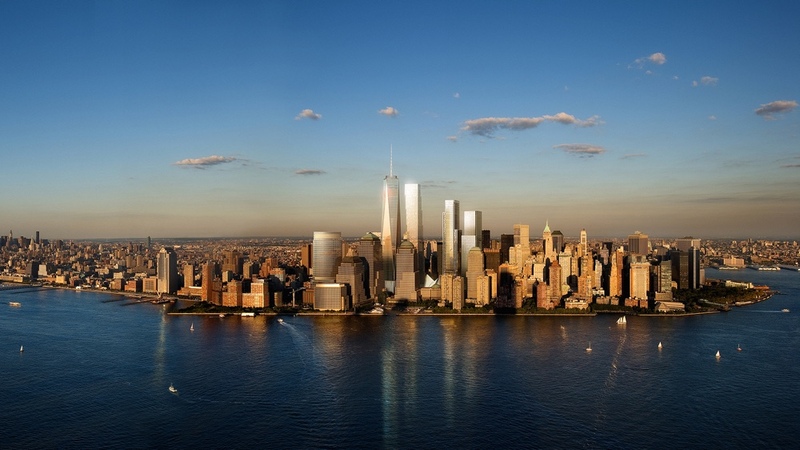 BIG was chosen (as a replacement to Foster + Partners) to design “Two World Trade Centre”. 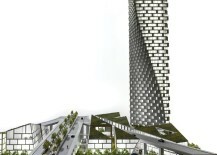 Its concept: a glass tower made up of seven stacked cuboids that decrease in size as they reach the pinnacle. 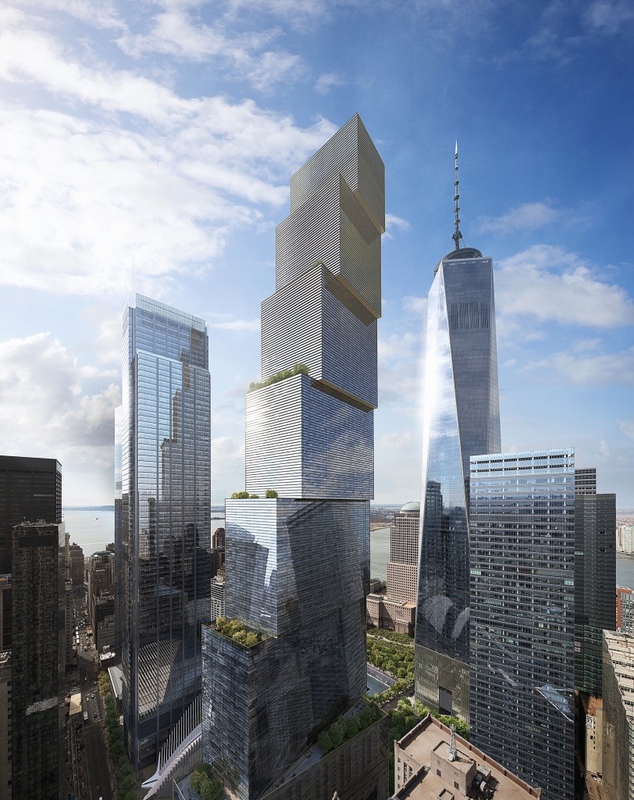 The building’s key tenants are 21st Century Fox and News Corp. Two World Trade Centre is expected to open on the 20th anniversary of 9/11. 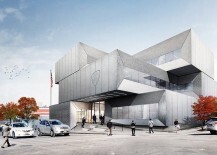 Tickers on the underside of the building’s cantilevers will flash the latest news. 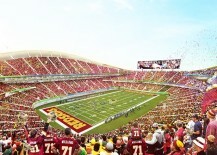 BIG has designed a new stadium for the Washington Redskins, a premier American football team. 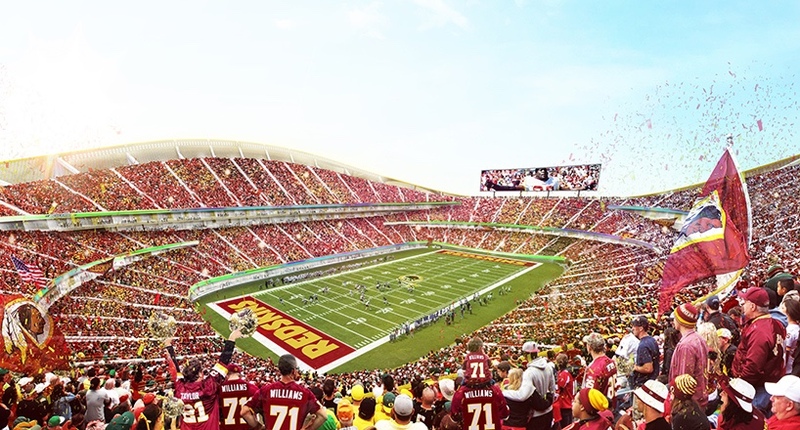 In BIG’s first stadium project, the intention is to provide a venue that captures the essence and excitement of the game-day experience. 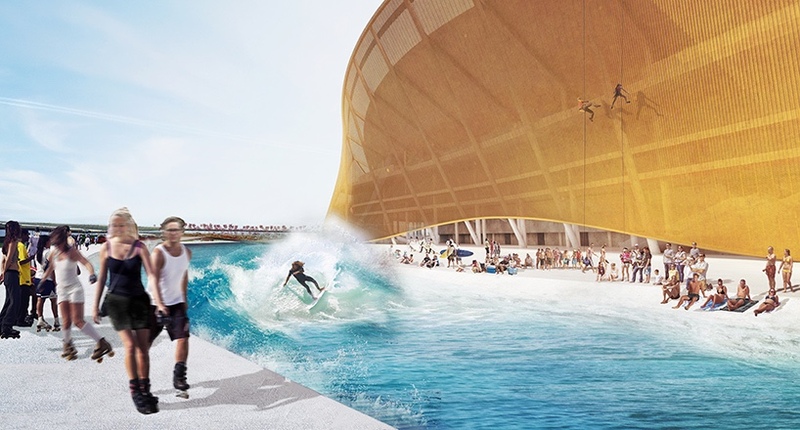 Amenities include a moat that will function as a wave pool for surfers and as an ice rink, designated/improved tailgating and a new exhibition space for a Redskins museum. 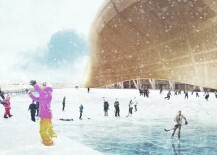 There is also the potential to transform the park into a performance venue for up to 100,000 people. 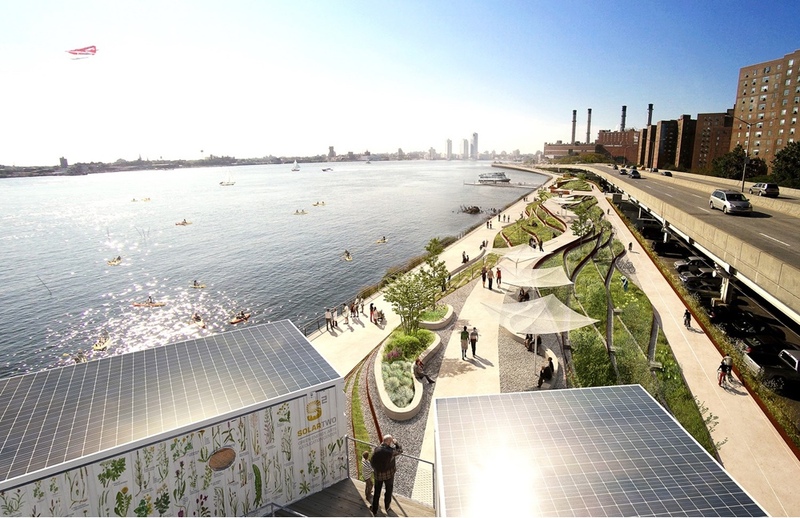 Images © BIG via Designboom. “The Dryline” is a proactive response to the devastation caused in New York City by “Hurricane Sandy” in 2012. 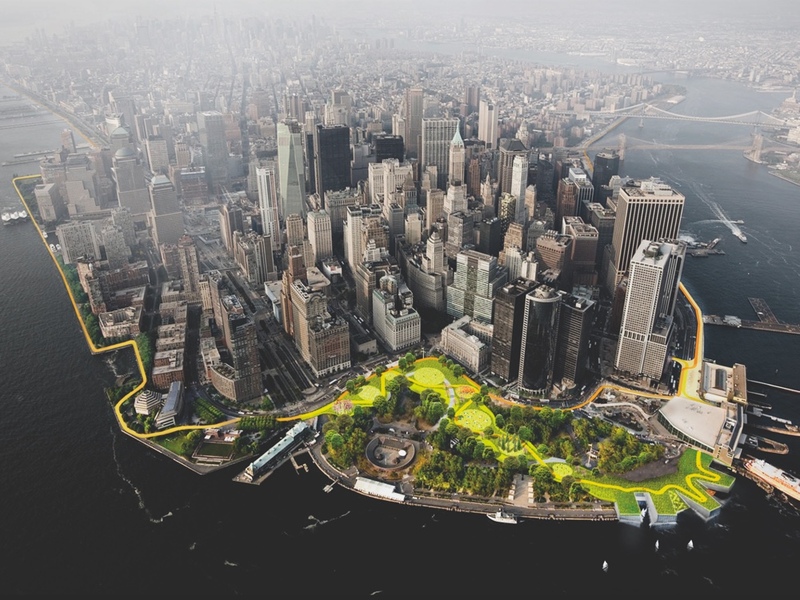 Defending the city in the future, “The Dryline” incorporates flood protection in the form of retractable walls, salt-resistant vegetation and berms (raised banks) that will act as an impediment to surging water. 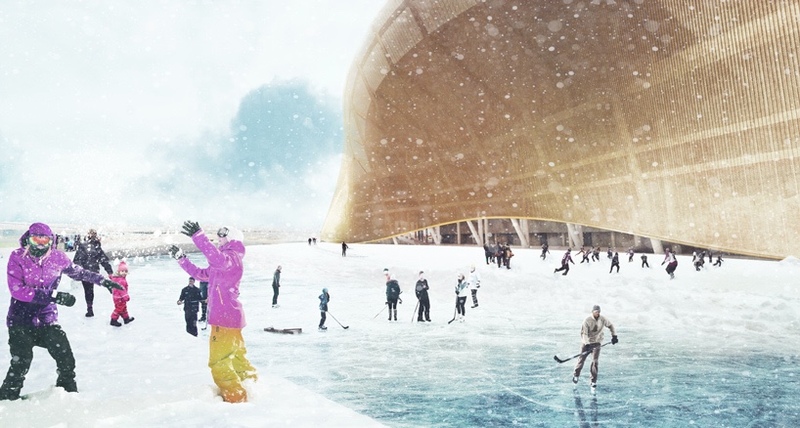 12km-long, it will include public spaces such as parks, seating and skateboard ramps. Construction of “The Dryline” will begin in 2017.